MANILA, Philippines – In time with the culmination of Pride Month, ABS-CBN's “It’s Showtime" hailed Juliana Parizcova Segovia as “Miss Q and A” winner in the grand finals dubbed “The Final Answer… and I Thank You!” at Resorts World Manila on Saturday, June 30. Juliana Parizcova Segovia is the first-ever "Miss Q & A" of It's Showtime. Juliana from Pasay City, bested other nine grand finalists including hall of famers Rianne Azares, Matrica Matmat Centino (first runner-up) and Top 3 finalist Lars Pacheco (second runner-up). Juliana impressed the judges during the Final Question round: "Ano ang pinaka-mahirap na tanong sa palagay mo?" Photo Courtesy of ABS-CBN Entertainment. Miss Q & A Top 6 (in no particular order) clashed in the DeBattle round. Miss Q & A Top 6 finalists. As the grand winner of the hit competition, Juliana received a “retoke” package worth P500,000, an all-expense paid trip for two to Thailand, the “Miss Q and A” crown and trophy, and P1 million. 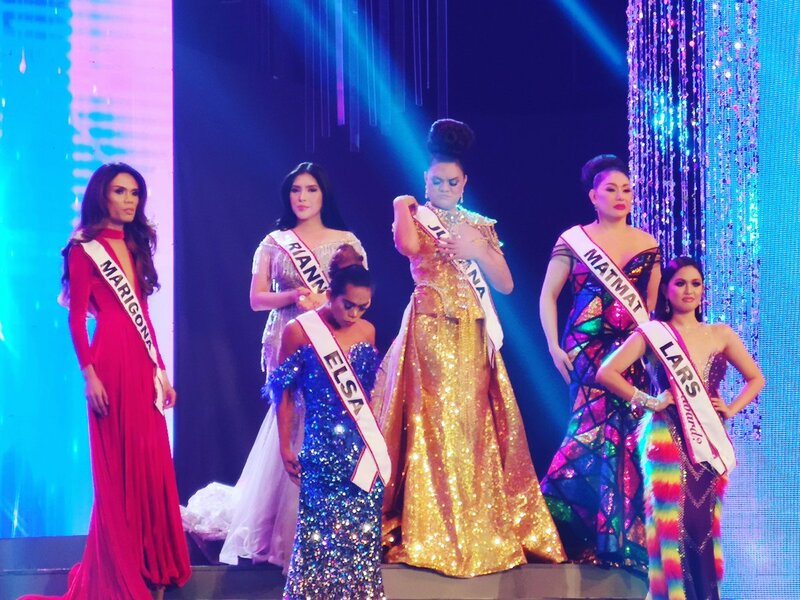 Aside from the grand prize, special awards were given to the contestants: Elsa Droga Mendoza (Beks in Costume), Odessa Jones (Best in Chuk-Chak Award), Gianna Castiglione Francisco (Beshie ng Bayan), Benzen delos Verges (Beks in Long Gown) and Lars Pacheco (Ganda Ka?Award). WATCH: It's Showtime Miss Q and A The Final Answer... And I Thank You! The noontime show's segment is derived from the "Question and Answer" segment of beauty pageants. It is a pageant for gays and transwomen (LGBT). Miss Q & A does not focus on the physical features of the contestants -- how gorgeous they look or what they wear -- but on how they think, respond, and present themselves.